Hundreds of participants filled the halls at conferences in Europe supporting Israel and the Jewish pioneers of Judea and Samaria. The conferences took place in several cities in Norway, Finland and Germany. Several of the conferences were secured by local police due to concerns of attacks by anti-Israel activists. 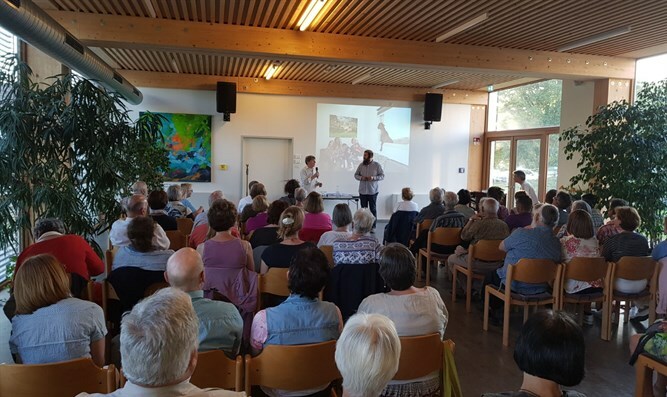 During the events, attendees received samples of products produced in Israel, and heard about daily life in Judea and Samaria, the history of the region, and the eternal connection of the Jewish people to the land of Israel. In addition, Lev Haolam Founder Nati Rom spoke at the conferences about his organization’s fight against the global boycott of Judea and Samaria. Many of the attendees were shocked to learn that the European Union and several European governments divert large amounts of funding to radical, anti-Israel left-wing groups and also to the Palestinian Authority, which uses the money to pay terrorists sitting in Israeli jails. 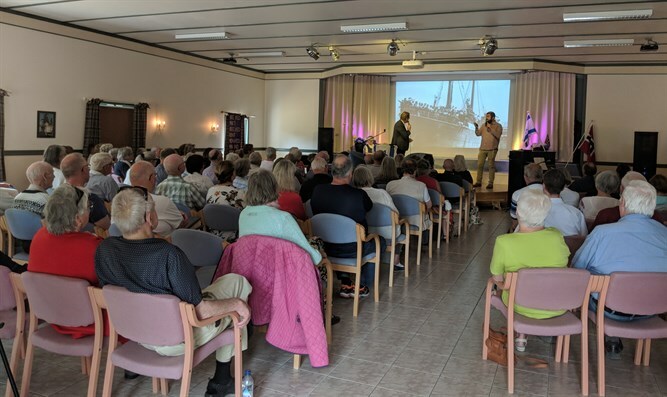 They also expressed significant interest in learning more and asked many questions after the lectures, and showed their support for Israel and the Jewish people. During some of the conferences, the participants sang Jewish and Israeli songs. Many participants also promised to remain in touch to stay updated on the situation of the Jewish pioneers in Judea and Samaria and to help in any way they can.